The beloved Claddagh - The hands for friendship, the heart for love, and the crown for loyalty. The hands of the Claddagh ring (Gaelic: fáinne Chladaigh) symbolize friendship, the heart symbolizes love, and the crown loyalty. This traditional design originated in the fishing village of Claddagh outside the old city walls of Galway in the 17th century. There is no more powerful symbol of what really counts in life. 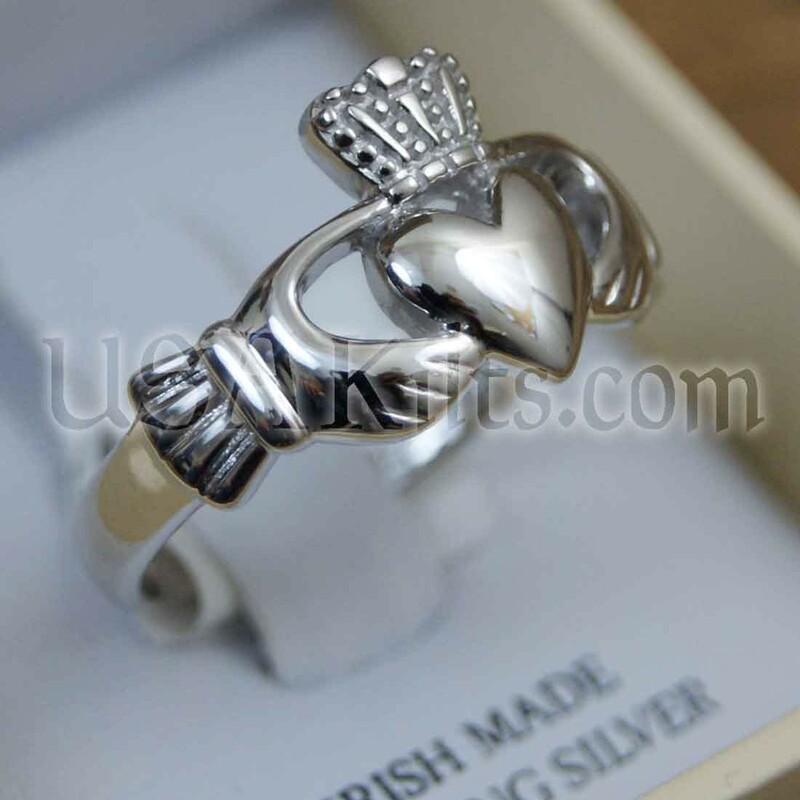 Classic, subtle and refined, this is a great Claddagh for anyone to wear daily. Sterling silver, it is handmade in Galway, Ireland -- not far from where the village of Claddagh once stood. The inside of the band is inscribed with "Love Loyalty Friendship" as an added touch.